Still No Black in the Union Jack? Historian and philosopher Paul Gilroy gives a critical assessment of racial politics in Brexit Britain. In 1987 Paul Gilroy released his controversial critique of British racial politics, There Ain’t No Black in the Union Jack. In it, he explored the role of racism across the political spectrum, left and right, as well as the relationship between racial and national identity. Accusing intellectuals of failing to take the question of race seriously, the book’s publication was met with considerable backlash. Gilroy followed this in 1993 with The Black Atlantic: Modernity and Double Consciousness, which was to become another milestone text in the discussion of racism in the west. Its focus on the black diaspora community–and their double identity both as Euro-American and Afro-Carribbean–again challenged ideas of nationhood in the west, and his thesis that slavery was integral to modernity rather than an aberration has become increasingly influential in postcolonial literature in the years which followed. 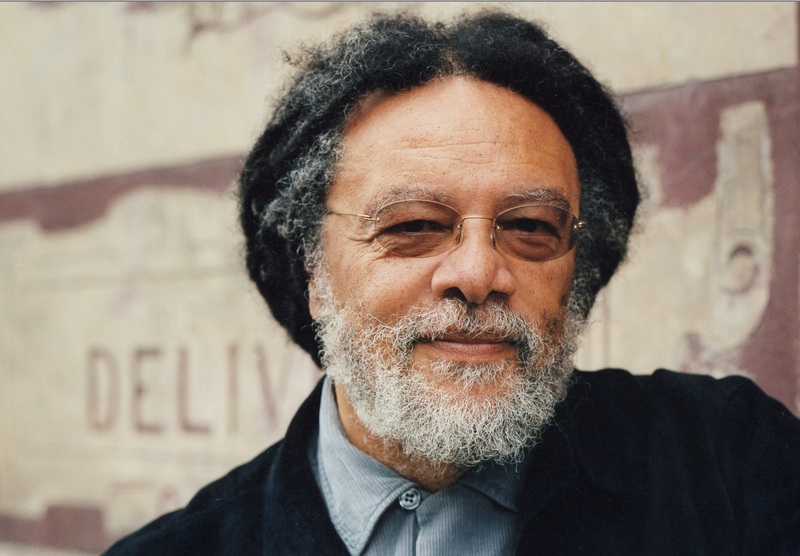 Here Paul Gilroy, who is Professor of American and English Literature at King’s College in London, gives a critical interview about the Labour left past and present, racism in Britain and the legacy of imperialism to Resonance FM’s Ben Thompson. Your book There Ain’t No Black In The Union Jack, published thirty years ago, was a landmark study of the vitality and resourcefulness of Black British culture. I wondered what light you feel the book could now cast on the era of Brexit, Grenfell and the Windrush citizenship scandal? That’s a very generous summary. The book also contains an early statement of my profound antipathy towards nationalism in all its unwholesome varieties. There’s an explicit argument against the Left positions that wrongly minimised the relationships between racism, nationalism and patriotism that have been so evident in and around the EU vote and its appalling aftermath. My targets on that front were Marxism Today and the Labour left in thrall to “Bennism”. Whatever his other qualities, Benn used to describe England as being colonised by the USA – this was the “Airstrip One” mentality that looked to but misread Orwell. My sense is that notwithstanding Jeremy Corbyn’s extensive anti-racist credentials, he belongs exactly to the Benn school of English socialism that had supplied one of my principal targets. I wanted people to identify and enter the uncomfortable space where Bennism and Powellism could be shown to be adjacent—linked by their overlapping hatred of the EU on one side and their evident distaste for Americana on the other. I liked both, and yet those formations were supposed to have violated our country’s precious national sovereignty. To me, the Falklands war made those positions appear absurd. Hip-hop was not at that point inseparable from Rapmaster Ronnie Reagan and his Cruise missiles. There seems to be no limit to the work that appealing to Churchill can accomplish! At that point I couldn’t see clearly how much the culture of militarisation built up under New Labour would pump in to fill the vacuum inside English national identity. In 2007, Rebecca Brooks headed off to Afghanistan with General Dannatt and by then whole tabloid media (not just the Murdoch end of it) had positioned itself as the mouthpiece of the heroic Armed forces. There’s a 2011 YouTube clip of Cheryl Cole on the army’s own TV channel which perfectly illustrates that. Exactly the same thing happened in America. I know they wouldn’t let Frederick Douglass’ narrative into the Guantanamo prison, but for me the dream of The Black Atlantic died with the re-emergence of African-American music at the core of US military and cultural diplomacy. It was finally strangled by the likes of Colin Powell, Condi and the Obamas on one side and Jay-Z, Kanye and Beyonce on the other. The Black Panther was the last nail in that coffin. Every year when Poppy season comes round I think about how resonant all that necropolitan nationalism has become again for young people in the UK – Dunkirk, the Dambusters and the undead formation of Dad’s Army all demonstrate how wrong I was. The Spitfires are now everywhere. Presumably a re-make of Mrs. Miniver is on the way. Do you agree with complaints about the BBC disproportionately enfranchising Tommy Robinson, Nigel Farage et al in the name of ‘balance’? Put the bogus balance thing aside for a moment. Those BBC presenters from the JCRs of Oxford and Cambridge never take the task of grilling fascists seriously. They are grotesquely complacent about the machinery of debating society liberalism and apparently also entirely unfamiliar with the history of the ultra-nationalists. It’s a bad combination. Do you remember when Nick Griffin ran rings around Jeremy Paxman? It doesn’t help that the residues of fascism flow in from so many different directions at the same time. Let’s not forget that New Labour did their best to ape the populist postures of the Tory right and sprinkle some Powellite pixie dust on the uncertain edges of their electoral bloc. Blunkett’s bluff Yorkshireman bluster and Gordon Brown parroting the BNP line on “British jobs for British workers” are also implicated in bringing about the bleak predicament we’re in. Was the 2012 Olympics Opening Ceremony a last high water mark of multicultural serenity? The Windrush moment was visibly if belatedly acknowledged in Danny Boyle’s pageant, but the spectacle seemed to me to cement the arrival of colonial citizens as an invasive encroachment. If I remember correctly, the empire itself remained unrepresentable. The energetic, tropical immigrants with battered suitcases were effectively being visited on the green nation from the outside. Of course their carnivalesque appearance could be spun positively. They were exotic, exciting and in some ways attractive. But they were conceived essentially as an addition, an extra rather than a basic condition of the country’s modern phase. What did Orwell say? The British proletariat lived in the empire. Do you think the Windrush scandal merely made explicit a malevolence that was always there, or do you think the rosy glow that was gathering about this crucial moment in British cultural history (at least in popular TV histories) has been unexpectedly banished by May’s ‘hostile environment‘? That story has been frozen in the mediascape. It needs to be given a history and the continuing problems of the “hostile environment” held up to proper scrutiny—fat chance. Let’s not forget that Amelia Gentleman who broke the Windrush Generation story is Boris Johnson’s sister-in-law. I think there are reserves of decency that can still be drawn upon – the Left underestimates them – but they are not sufficient to alter the momentum or direction of these continuing horrors. The tragedy of Grenfell seems (among many other things) to have reasserted Notting Hill’s position on the front line of British cultural negotiation. Do you think the line from Rachmanism to those who sought to make savings on fireproof cladding is as straight as it initially appears? And, looking south and east across the capital, what might a comparison between the aftermaths of the New Cross and Grenfell fires tell us? Yes that line is there. But it isn’t straight. It meanders. It should include Colin MacInnes’ Napoli, Kelso Cochrane’s ghost, the hippies and squatters as well as a proper history of the Carnival which we currently lack. I’ve been thinking about the marches of protest in both cases. New Cross [the marches in response to the 1981 ‘New Cross Massacre’, when thirteen people were killed in a far-right arson attack] was outward facing. We were noisy in the rain. There was a layer of pseudo-Bolshevik leadership with all the problems that can bring. With Grenfell, the silence of those monthly marches is the key. Those gatherings are rightly and inevitably dominated by the bereaved, the traumatised, the survivors and their immediate local kin and concerns. It’s a loud silence and their few courageous allies in the media have kept the horrors in focus, but it’s taken a long time to turn the face of their trauma out towards the world. Shouldn’t it be possible to get all the people living with the same risks in buildings with the same cladding—public and private—in step with one another? I’ve watched John McDonnell looking at the shrine under the Westway and listening to the speeches. He looks as though he gets it, but they lack a way to speak about the murderous fire as an example. Lowkey’s videos manage to do it (especially the second one), so it’s baffling that the politicians can’t follow suit. On the question of leadership, does the relative prominence of mainstream black British politicians in the debates about Grenfell – Diane Abbott, David Lammy and Sadiq Khan on one side, Baroness Warsi and Sajid Javid on the other – give you any cause for optimism? Paul Gilroy is a historian, writer and academic, who is Professor of American and English Literature at King's College, London. He is the author of There Ain't No Black in the Union Jack, The Black Atlantic and numerous other books. Ben Thompson is a critic and ghostwriter, and the host of The London Ear on Resonance FM.